I am writing to update you on Sommer's Keto Journey. Yesterday, she hit the 120 day ketosis mark and I know we couldn't have gotten this far without the support of her holistic vet, Valiant Pet Nutrition and Keto Pet Sanctuary. Since she has Lymphoma, we are not going to test as the vet feels like it is her first line of defense, so why not look at her energy, her coat (which is gorgeous) and her appetite and let that be the bellwether of where we are. As I said, I don't know where this goes but I do know we have a story to tell. 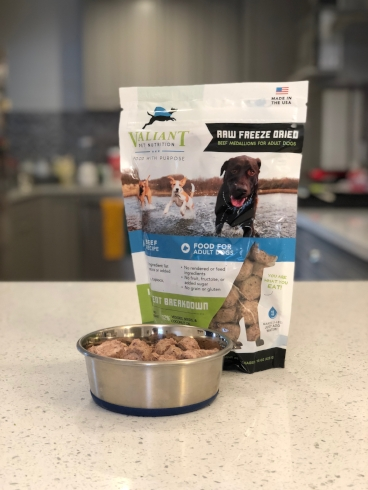 I am so grateful to you and Patrick for your support and while I don't mind making the raw meat diet, Valiant Pet Food has been a lifesaver. I have learned so much in this journey and while I have been focused on the overwhelming part of managing this disease, I am now taking each day and taking stock of the little things. Waking up to that sweet face nudging me with tail wags galore--the word "gratitude" comes to mind. 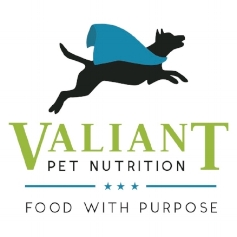 Thanks to you all, I have three meal options using Valiant Pet Food and I rotate them each day. She loves them all.